Over the last few months Skoda has teased us with a whole variety of pictures for the new Skoda Kodiaq. However, all the photos so far have been of the exterior – until today that is. 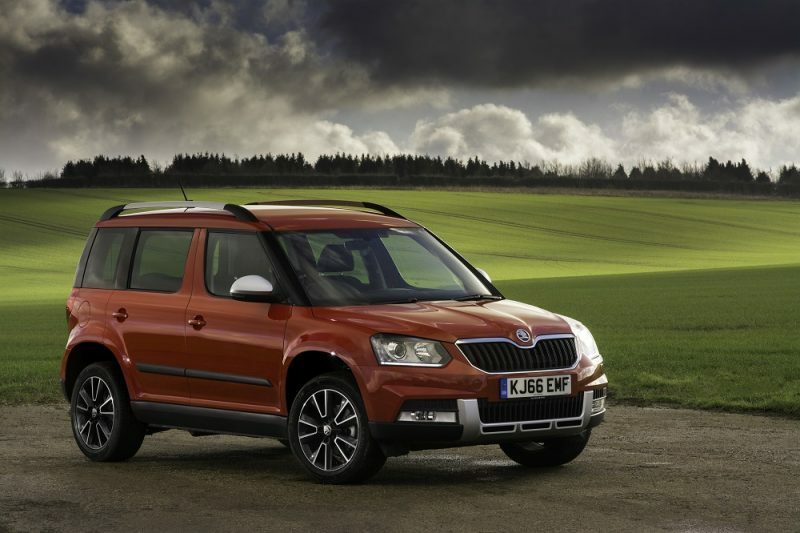 Ok, so the interior shots may just remind you of other Skoda models and it might not be the ‘wow’ you were expecting. The Czech firm says the interior has been built using its clear, modern, expressive design language and I would certainly agree with the first two. I’m not sure on the third as it’s not exactly groundbreaking in regards to style although I do like the seats. The design reminds me of the engine cover of the Lamborghini Aventador, which can only be a good thing right? 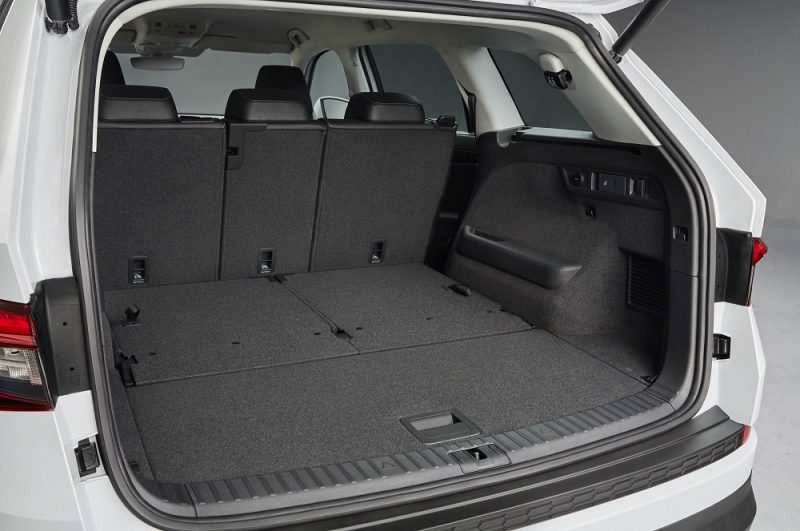 It’s clear by looking at the pictures that the Kodiaq is able to offer plenty of boot space, in fact it has the largest boot in its class – 720 to 2,065 litres. 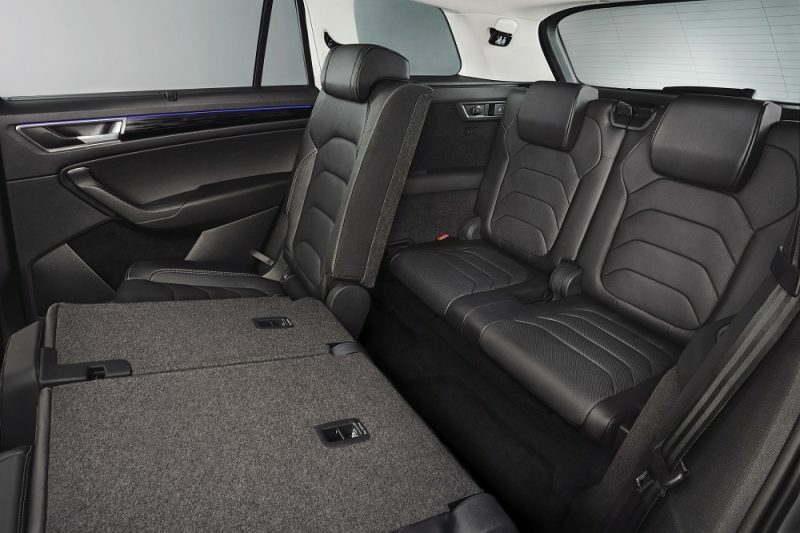 It’s not just the boot where buyers will be treated with huge space though, the developers have been hard at work to ensure the cabin space is the highest possible. 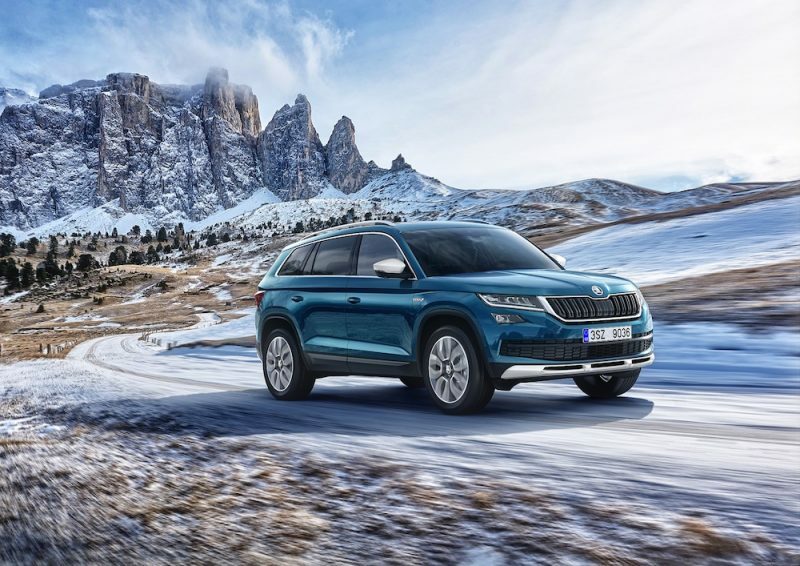 Seven seats can also be selected in the Kodiaq which believe it or not is a first for the Czech brand. 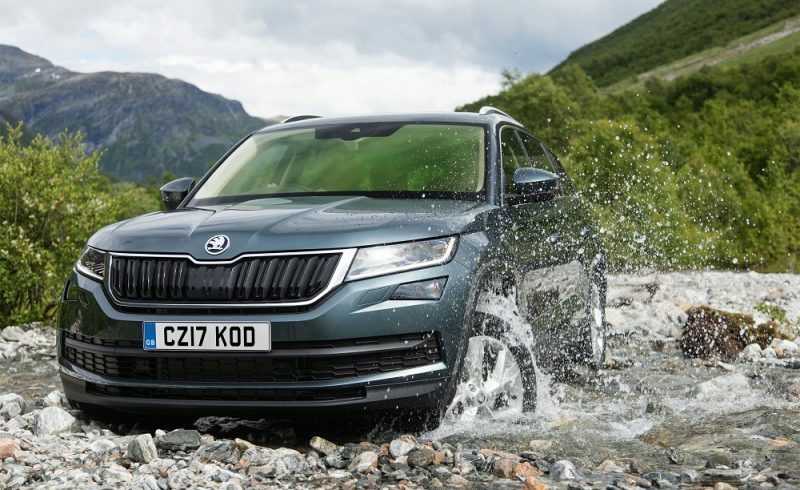 Skoda has lived up to its Simply Clever values in the Kodiaq by offering features like a heated steering wheel and door edge protection. 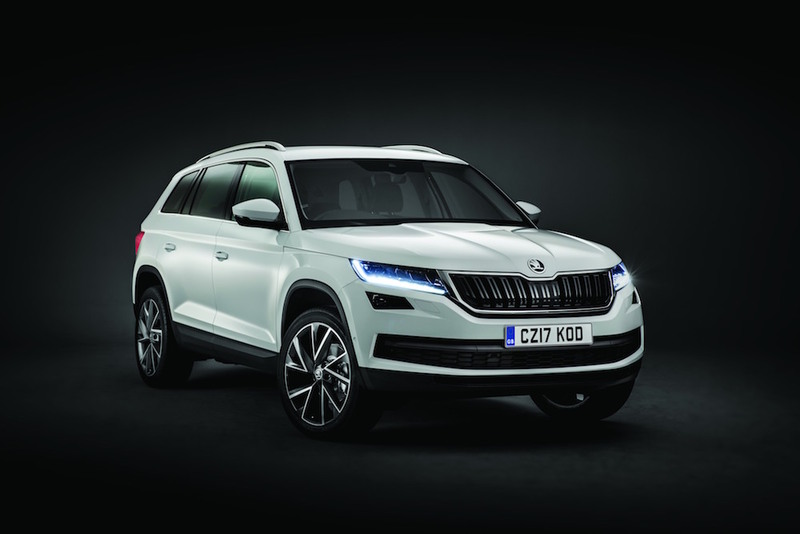 The Kodiaq itself has been designed to offer “functionality at its most attractive” and therefore buyers can expect a car which is a functional as it is modern. 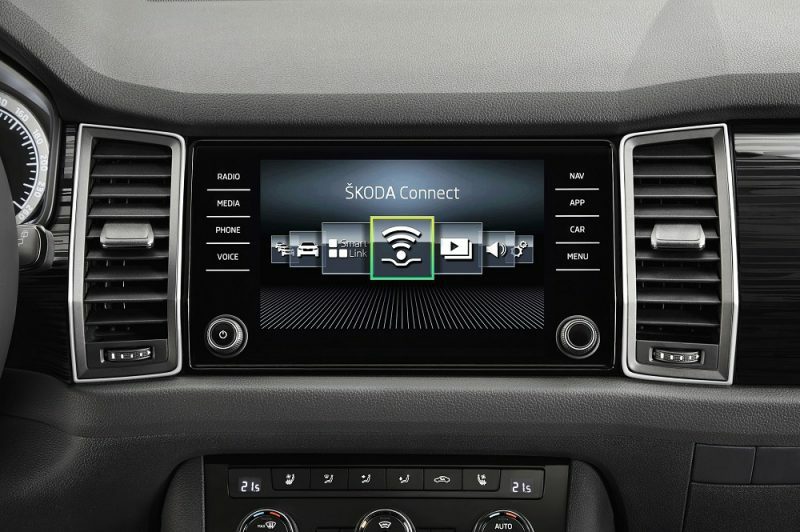 Skoda has been keen to make sure the dashboard is uncluttered, making it easier to use day-to-day. 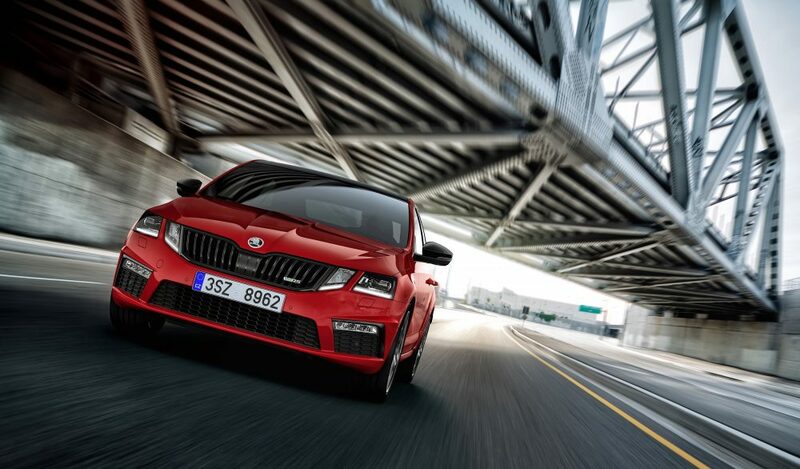 The touchscreen display is said to have an elegant glass design with ‘Simply Clever’ operation – logical and intuitive. The Kodiaq will be officially unveiled this Thursday in Berlin which can be followed via a live stream that starts at 19:00 CEST (18:00 in the UK).